HOUSTON (KTRK) -- On Tuesday, we reported how Titans QB Zach Mettenberger called the Texans JJ Watt 'high school-ish' for wearing a letterman jacket during the 2012 season. Mettenberger's comments came during an interview with the web site Campus Sports. Well, it didn't take Watt long to respond. On Wednesday, the Texans star defensive end took to Twitter to fire back. The social media war between Watt and Mettenberger began last October when Watt pretended to take a selfie after sacking Mettenberger. 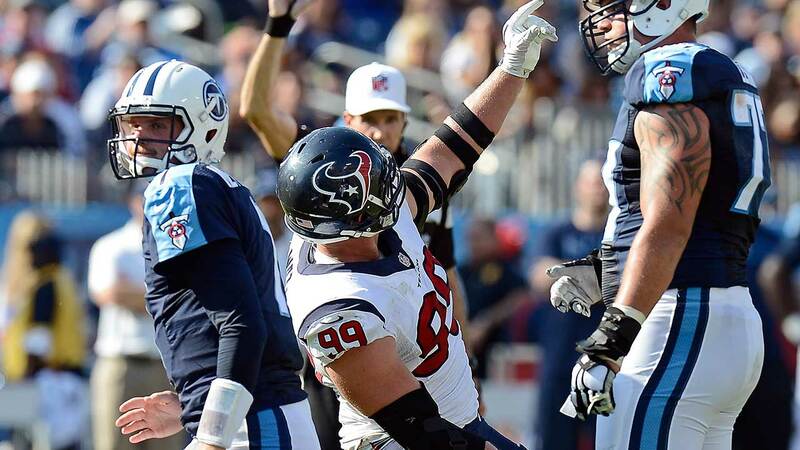 Watt said he did it to poke fun at Mettenberger for taking selfies before the Texans-Titans game. It was Mettenberger's first career start. "JJ had to say it's a bit high school-ish that I take selfies and I think he still rags me on Instagram every time he posts a selfie," said Mettenberger in the interview posted Tuesday. "At the same time, if that's high school-ish, he got a letterman jacket made, a Texans letterman jacket. That's pretty high schoolish to me, don't you think?"